Mr H Steel Rojo 75/9 is a beefy dark red sire with championship genetics. 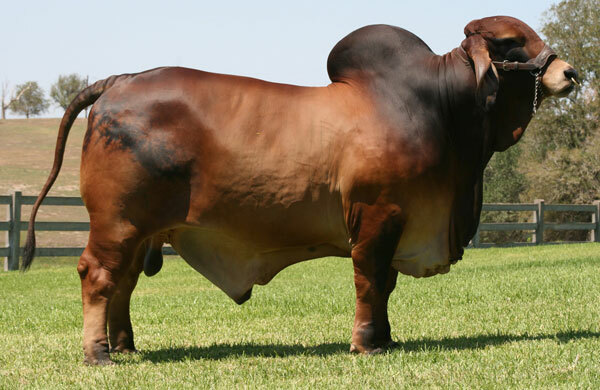 He is sired by the popular Register or Renown sire, +Mr H Red Rhino 765, who was the 2007 International Grand Champion bull and sire of the #1 ranked cow in ABBA. The dam of Steel Rojo 75/9 is the former show champion and donor cow, Lady H Amy Rojo 733. Check out of the video of this stud!! We think you will agree he is a bull to improve quality. Mr H Steel Rojo 75/9 can be used to add breed character as well as to increase capacity and frame size.